Dan appeared on Good Morning America today to discuss the possible legal repercussions of a fight that broke out during a wedding in Philadelphia. 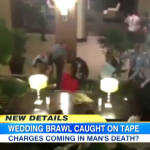 At the Sheraton Society Hill, at least two wedding parties were involved in a spat. Matthew Sofka, 26, the brother of one of the grooms, was charged with assaulting a police officer, reckless endangerment and inciting a riot. 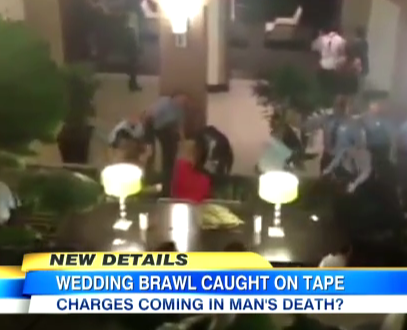 Vince Sannuti, 57, uncle of one of the brides, reportedly died of a heart attack after he left the hotel during the brawl. Sannuti was found outside the hotel unconscious, and taken to a nearby hospital, where he died. So are the two connected? What will happen if Sofka is charged with Sannuti’s death? Dan explains that it depends: of Sannuti, he says: “If he walked out, took his children out, was just saying ‘look, let’s get out of here,’ but the stress of everything that was happening around him led to his death, then certainly no criminal charges, and even a civil case would be tough – maybe he could sue the hotel for lack of security… but if, on the other hand, someone threatened him, someone even pushed him, totally different story then in terms of a criminal or civil case.” Hear all of Dan’s thoughts on the case here.